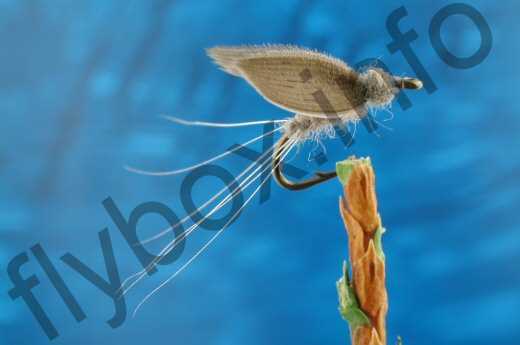 The No Hackle Dun was devised so that the body and the wings created a tasty silhouette for the trout when looking up. Thread : Grey or black. Tail : Light dun hackle fibres. Body : Blue dun micro dubbing. Wings : Mallard flight feather. The tail fibres must be splayed 3 per side. Currently there are no comments about the No Hackle Dun fly pattern from other fly fishermen yet.